Supports muscle repair & growth. 24 g of premium whey protein, (5.5 g of BCAAs), but just 1 g of fat & 1g of sugar. WHY CHOOSE OPTIMUM NUTRITION GOLD STANDARD? 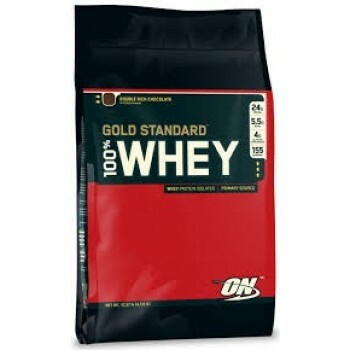 Optimum Nutrition Gold Standard 100% Whey is the world’s best-selling whey protein. 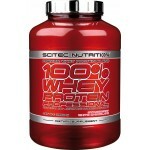 It delivers 24 g of whey protein to support muscle growth. Great way to supplement your diet with added protein. WHEN TO TAKE OPTIMUM NUTRITION WHEY? Gold Standard 100% Whey is fast absorbing so is best enjoyed first thing in the morning and/or during the 30 minutes just before or immediately after training. Due to the incredible mixability that Optimum nutrition whey offers, it can be taken with milk at night for the perfect fast/slow shake. It also offers the perfect snack option to increase the daily protein intake during long working hours. BENEFITS OF GOLD STANDARD WHEY? 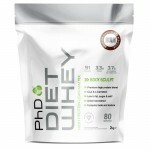 Anyone looking to increase their protein intake to help support their quest for a leaner, fitter body. Gold Standard Whey can be taken by anyone, man or woman. For each rounded scoop that comes with the protein tub, mix with 6-8 oz (180-240 ml) of water, juice, or even milk. WHAT ARE THE MOST POPULAR OPTIMUM NUTRITION WHEY FLAVOURS? Protein Blend (Whey Protein Isolate, Whey Protein Concentrate, Whey Peptides), Cocoa (processed with alkali), artificial flavor, lecithin, acesulfame potassium. 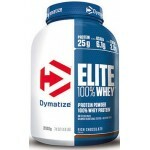 Dymatize Elite 100% Whey Protein - 2.1kg..
MUTANT WHEY 4.5KgNew & improved!New .. Reflex Instant Whey PROWhat is Instant W..
MUTANT WHEY PROTEIN 908gNew & i..